Buying a used car from a dealer? Know the Pros and Cons of it. 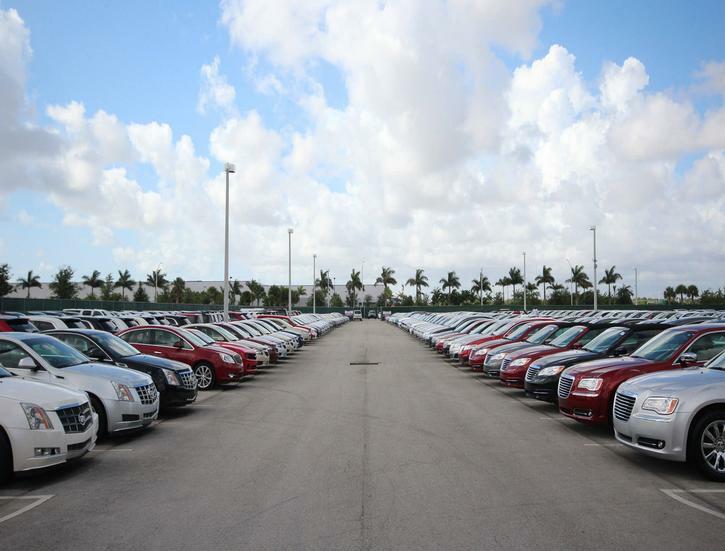 Used car dealerships are a good option for buying used cars… Here’s why! To be honest, we all know that cars are an expensive commodity that falls under the category of being the top most desired luxury item. New cars are so costly that nowadays, people are giving serious considerations to buying pre-owned vehicles. So before you decide to a buy a used car, don't you think being familiar with the pros and cons of buying a used car from a used-car dealer should be acknowledged? After all there are no less options of buying a used car; you can always get your car from a private seller too. Trust us, it is true that you can save a lot of money from buying a used car which will look good and work just as new! Here are the goods and bads of buying used cars from used car dealers. Buying a used car means that the original owner has absorbed most of the depreciation cost, this means ultimate cost savings.Depreciation occurs by a very little amount of money or a little more when the first owners drive the car off the lot. So if you are a second buyer of that vehicle you can get great quality and save a good amount of cash. Dealerships keep lots of pre-owned/used cars. They keep check of the used cars that come in, in every way possible. From bumpers to performing any necessary repairs of maintenance, they check and then certify them as good used automobiles. In many cases, people find cars that are not that old and with low mileage on the odometers. You can get full advantage of the fact that used car dealers are not sanctioned by any large automobile company. This gives you a great opportunity to bargain your way out of the sale very easily. You have to rely on your dealer for everything. A local or small lot dealer might not get you a proper warranty. But worry not because there are authentic dealers easily available that will get you a used car with due warranty. You don't know how the previous owner kept the car? How he drove the car? Did he follow proper guidelines given by the manufacturer for driving the first few hundred miles? Did he keep maintenance and the car in check? What if you are getting something that should be thrown in the fire of a junk yard? Though not a major disadvantage, these questions are a set back because they divert the buyer towards getting a used car from a private seller instead because you can get information. However, what you can do is get a cheap car history report and ask a service to get you a cheap revs check of your car and that'll get you all the possible answers that might have ruined your decision of buying a used car from a used car dealer. So get all the info that you might need and do buy a used car with all the necessary info from your local used car dealer.Here is the best tips on buying a used car from a dealer. Buying a Secondhand car from a dealer is good or not ? When buying a used car from a dealer ? Advantages of buying a used car from a dealer ? consumer rights when buying a used car from a dealer ? How to negotiate buying a used car from a dealer ? buying a used car from an interstate dealer ? what to do after buying a used car from a dealer ? what to ask when buying a used car from a dealer ? Top Six Seasons to Buy Used Cars . So all in all, these were some goods and bads of buying a used car from a used car dealer. There are no major setbacks to buying a used car or at least none that don’t have a solution. I hope you consider these good and the not-so-good truths of buying a used car from a used car dealer and make a wise cost saving decision in the end which is of buying used car with a warranty and a cheap car history check too from your reliable dealer.